Scaffolders are involved in putting up temporary frameworks and platforms to enable work to be carried out on the higher parts of buildings. This must be done in accordance with industry guidelines to ensure that the scaffolding is safe. Safety is a very important part of the industry and continuous training throughout your career is compulsory. When you first start out you can expect to earn minimum wage but as you undergo training and gain industry qualifications your wages are likely to increase accordingly. Once you are fully qualified and have gained experience in the industry you could earn up to £25,000 a year, and this can increase significantly if you start up your own business or become specialized in a particular area. As with most jobs wages vary according to what region you live in and the structure of the particular company you are working for. 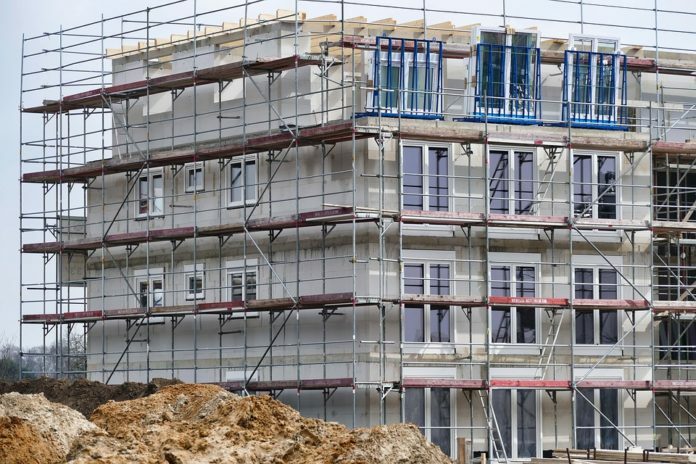 The potential to start your own business is significant in the scaffolding industry, and it’s what a lot of people tend to do, especially as it’s a trade which remains in high demand, even in adverse economic conditions. What training or qualifications do I need? It is essential for your career prospects in scaffolding that you carry a CISRS (Construction Industry Scaffolders Record Scheme) card or a CSCS card. These cards enable prospective employers to check the validity of your qualifications and training. The card will last for five years at which point you will need to undertake further training in order to renew it. There are different levels of CISRS or CSCS cards which range from the basic trainee cards for entry-level workers assisting scaffolders on site through to the top level cards which are for advanced scaffolders who hold advanced qualifications and have experience in the industry. The Construction Industry Training Board has several sites across the country and they offer the relevant training courses you will require for scaffolding. Additionally, your employer will be able to tell you what training they would like you to undertake. However, an NVQ level 2 or 3 are important qualifications to gain within this industry. If you complete all the relevant qualifications and continue ongoing training throughout your career then you can continue to work your way up in the industry. There is also the opportunity to start your own business like Dan Davies at BDC Scaffolding did. There are two ways you could get started within the industry. One would be to go to college and complete all the basic courses first then apply for a job once you have some qualifications under your belt. The other way is to get a job on a site assisting scaffolders whilst studying alongside your work. This has the added benefit of gaining on the job experience of working on site. If you feel that this is a trade you’d like to get into, then you could speak to your job center about training courses or start from the beginning and research courses around your area. Why not get started today and get things moving?